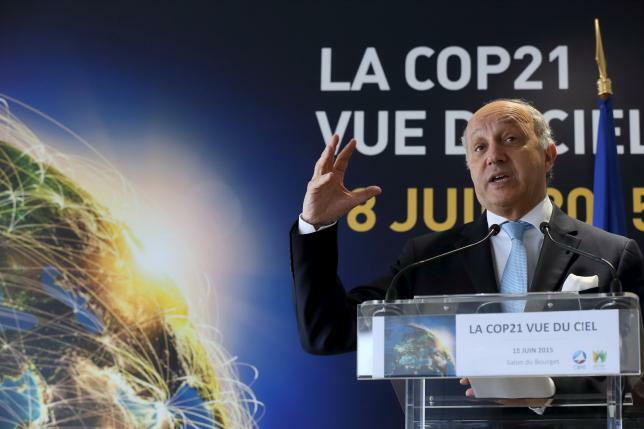 CAIRO – France’s Foreign Minister Laurent Fabius will meet his Iranian counterpart Mohammad Javad Zarif on Monday to discuss the final round of talks over Iran’s nuclear programme beginning later that week, a senior French diplomatic source said on Saturday. The bilateral, on the sidelines of an EU foreign ministers summit in Luxembourg, will be followed by a meeting between Zarif and all the European parties negotiating with Iran. “We will see if we have moved forward or gone backwards,” said the diplomat. “There is still a lot of work to do to get the robust deal that we are hoping for,” the source said. He said major powers, which also include the United States, Russia and China, were not thinking about a long-term extension to the talks and were focused on reaching a deal around the June 30 deadline. Iran and the group of six — the United States, Russia, China, France, Britain and Germany — reached a framework nuclear deal on April 2 in Lausanne. They aim for a final agreement by June 30 under which Iran would restrain its nuclear programme in exchange for relief from economic sanctions.